MusicPound - Pound. Compare. Discover. 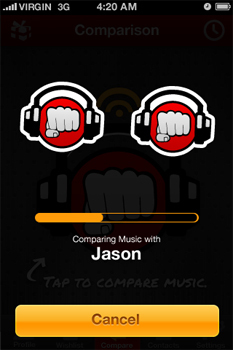 The MusicPound Compatibility Meter will analyze both you and your friend's music libraries, and reaches way back to see what you really have in common. Whether you have just met or have known each other for a long while, the meter will tell you whether you were "separated at birth" or are really just "musical strangers." 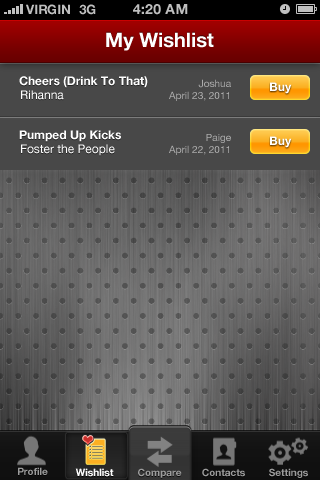 MusicPound will show you the songs and the artists that form the foundation of your musical relationship. The answers WILL surprise you. Find the songs your friends have by your favorite artists that you've always wanted but never could capture. 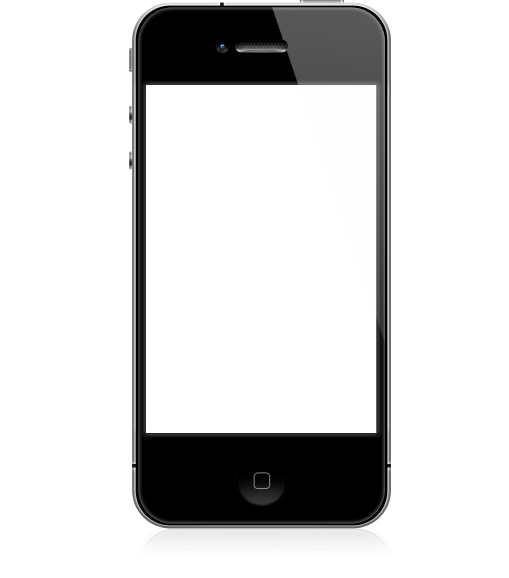 Store them on a wishlist when you are ready to own them. 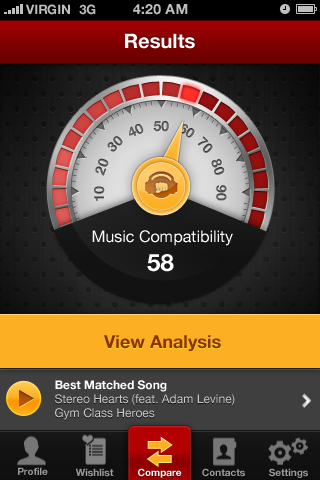 Instantly view the lyrics on any song and keep track of all the comparisons done with any friend in the past. 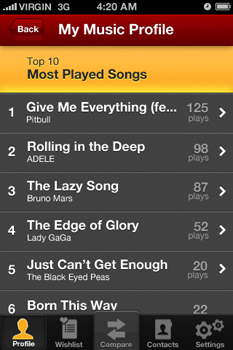 MusicPound will examine everything about your collection and tell you how you stack up against the masses musically. Are you a "Groupie" or a "Music Producer"? Think you have what it takes to be a "Music Mogul", because you dare not think about the "Hall of Fame." 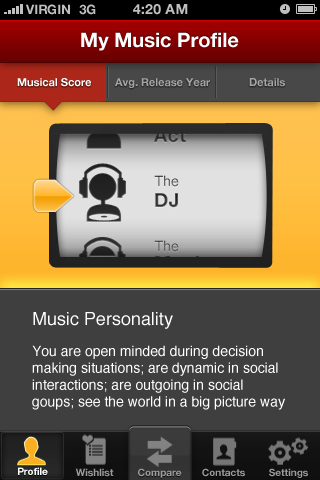 We'll even reveal elements of your personality based on your music. 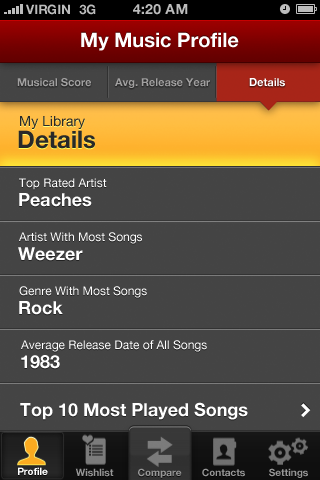 Anyone can store thousands of songs on their device - but how into the music are you? 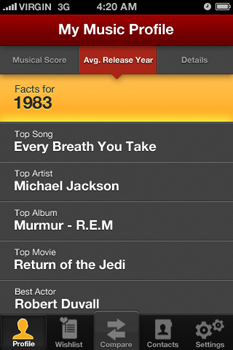 Easily view stats of your musical experience at a glance. 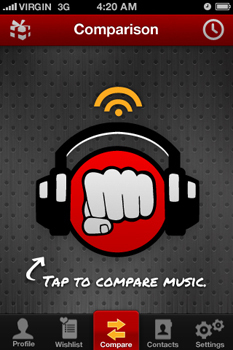 From your most played artists or songs to the most skipped songs, as well as your most listened to "off-beat" music tastes, navigate easily to get what you're after. USA Today 's 3 out of 4 stars rating describes the app as "a fun way to see how your collection matches up with your friends." 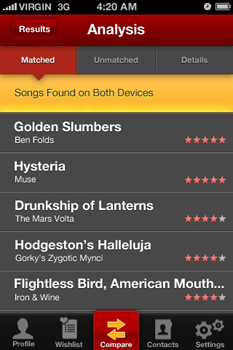 "MusicPound can add a fun social twist to finding new music," as described by the The Unofficial Apple Weblog. As described by Thrillist Nation, "MusicPound makes it crazy-simple to share your taste in tunes with friends and random street-goers alike."